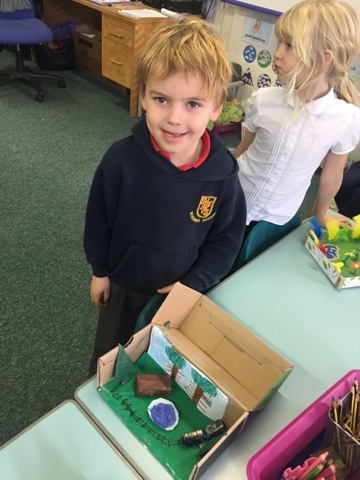 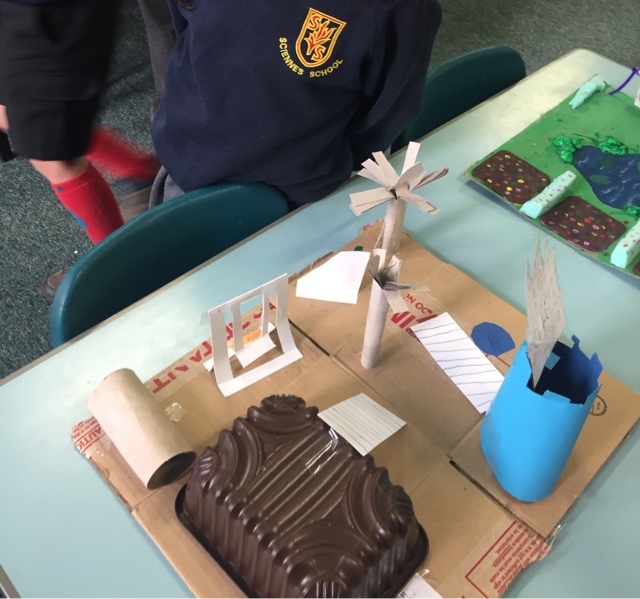 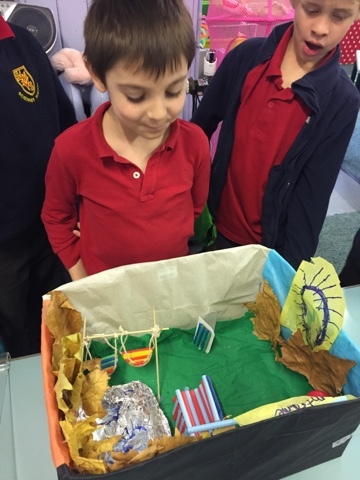 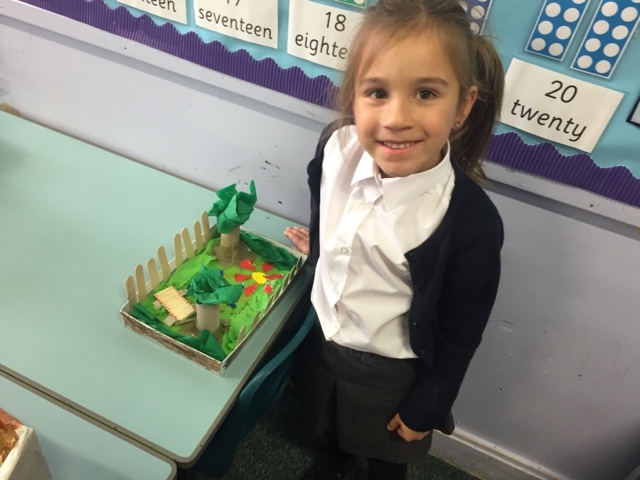 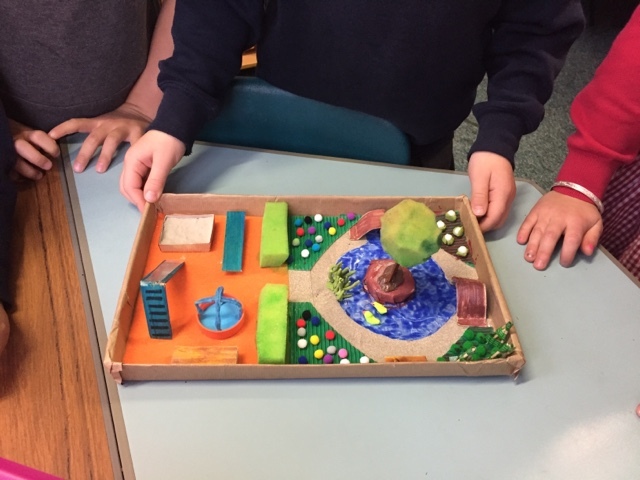 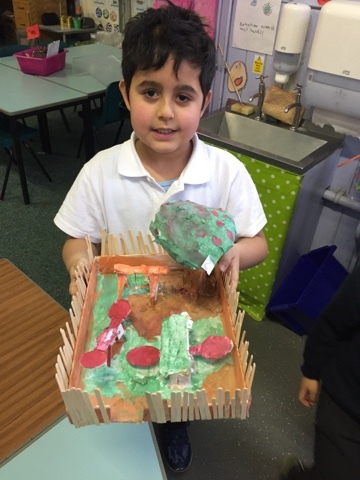 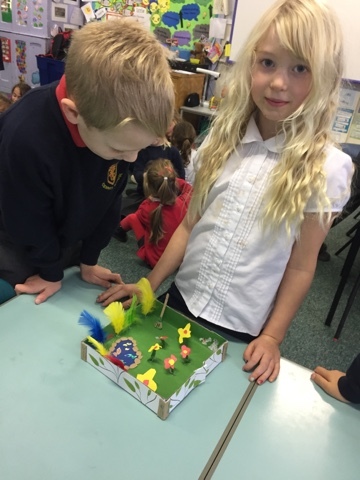 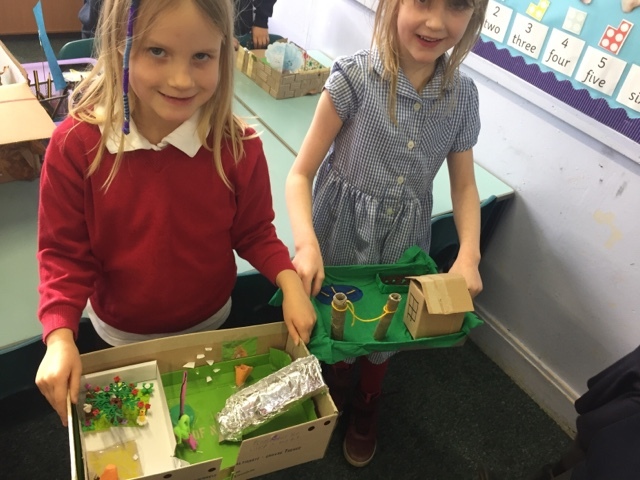 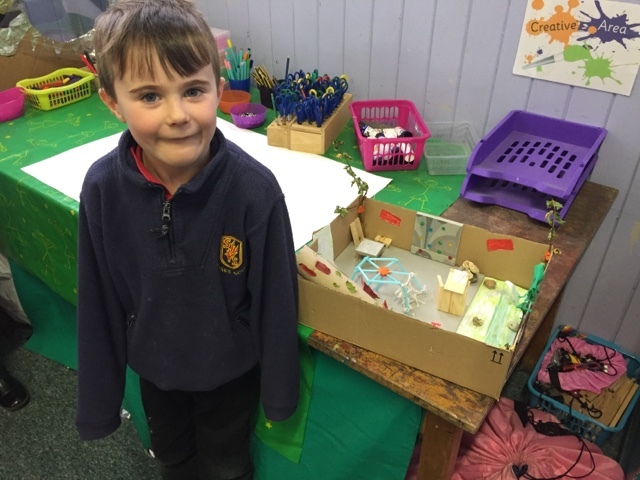 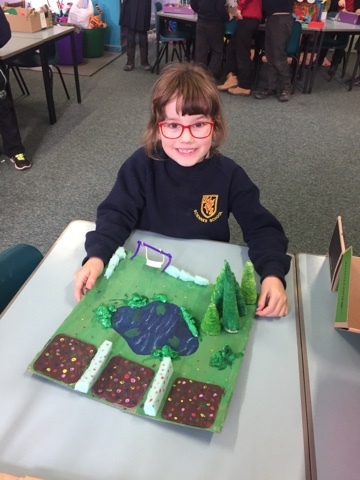 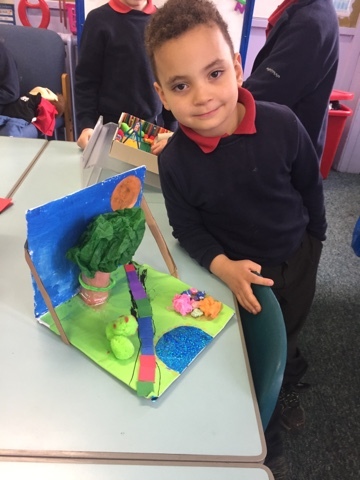 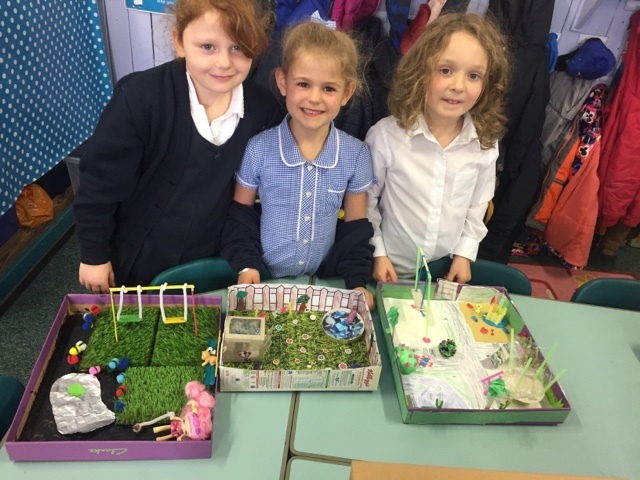 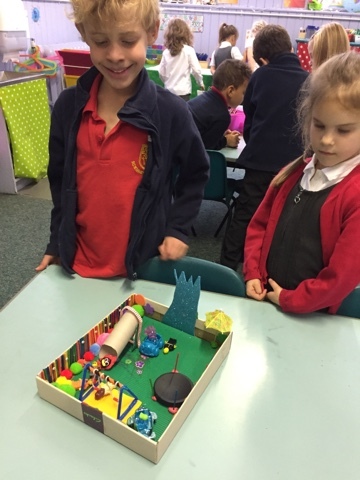 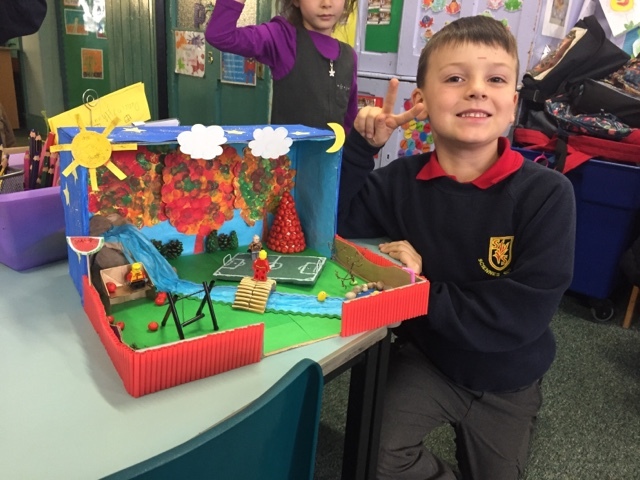 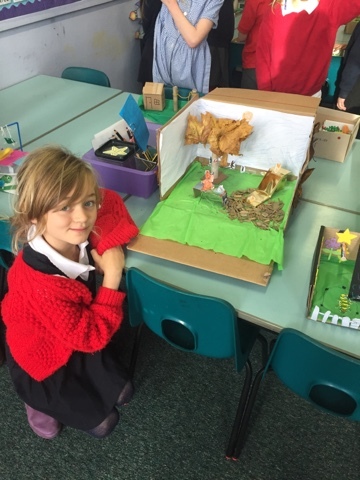 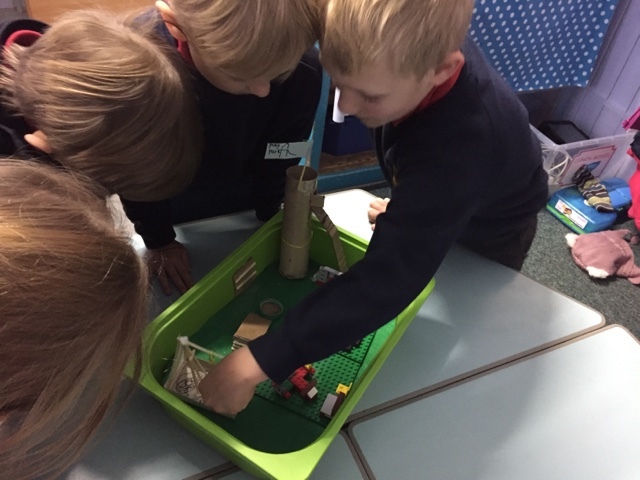 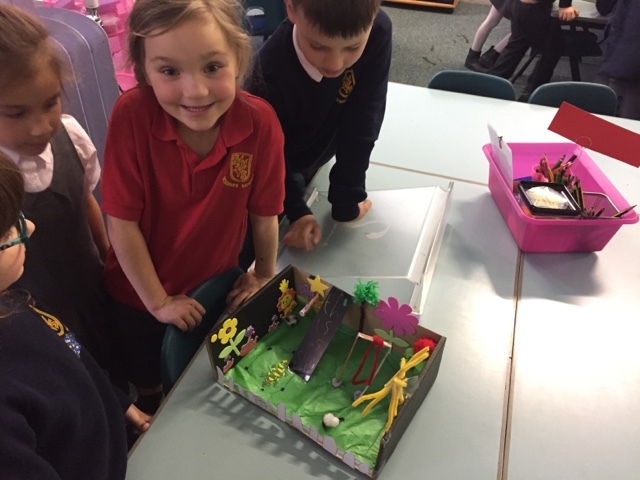 To conclude our Street project we all shared our wonderful garden and park models with the class. 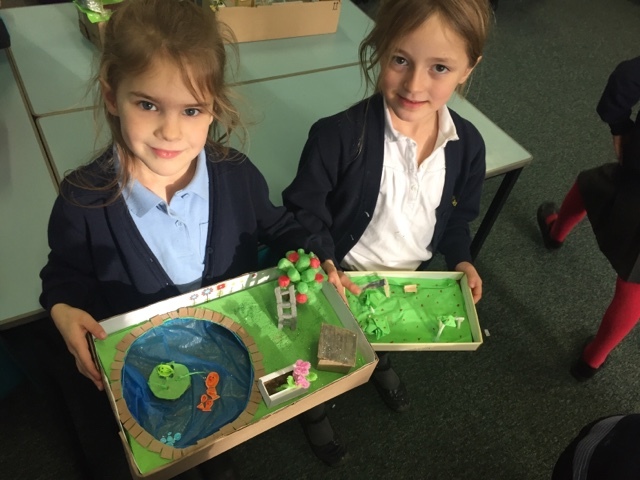 They were fantastic and very well thought out! 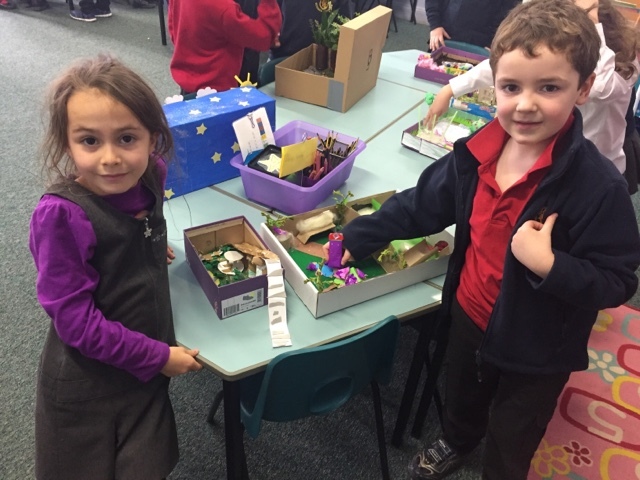 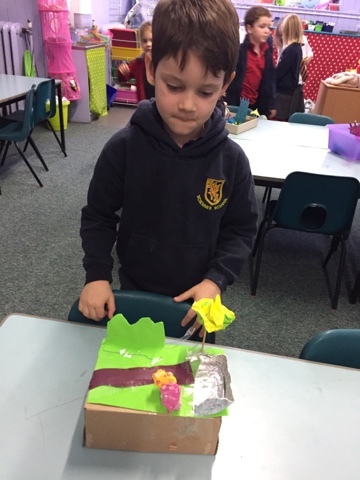 Thank you parents for supporting your child whilst planning and constructing their creations! 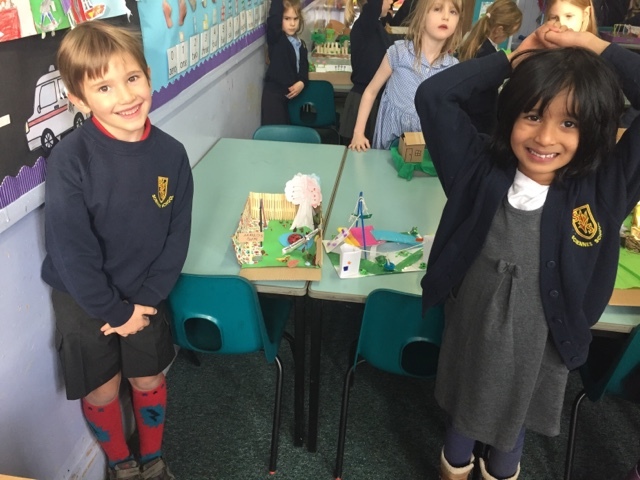 We enjoyed our traditional street party as a final farewell to Lego Lane! 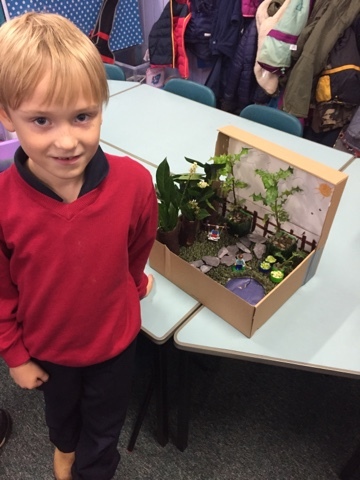 P2C feeling very chuffed with their Sun Moon and Stars display. 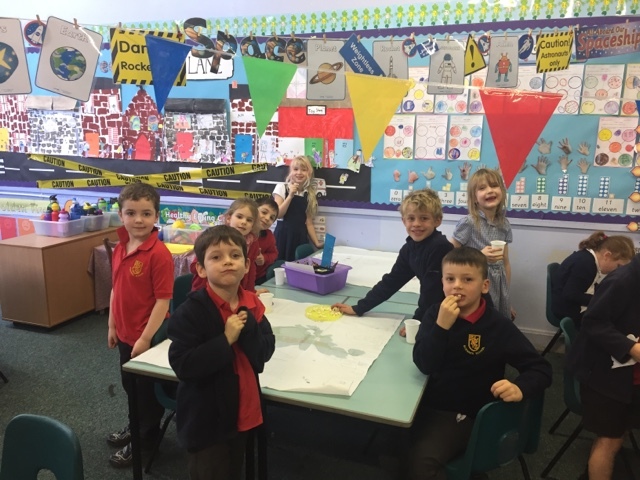 They worked so hard writing their acrostic poems about The Moon, and thoroughly enjoyed creating their own planet collages. 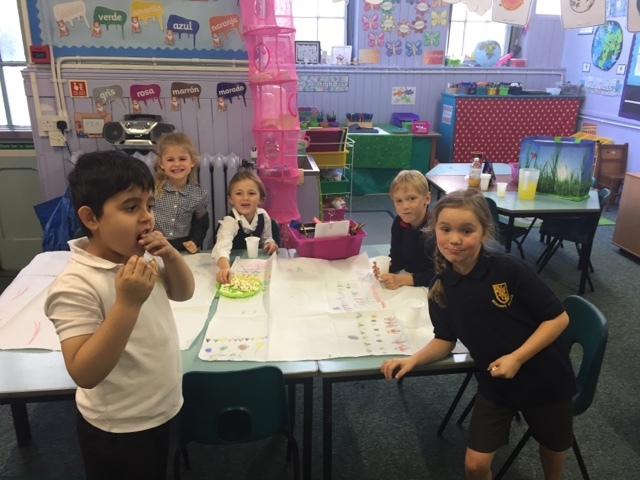 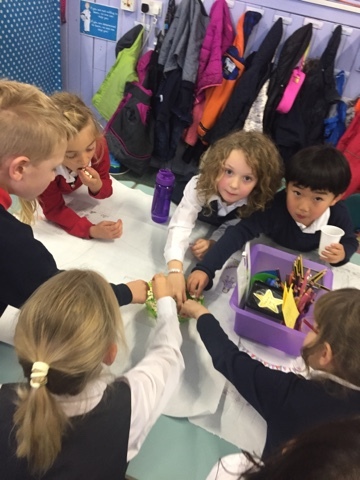 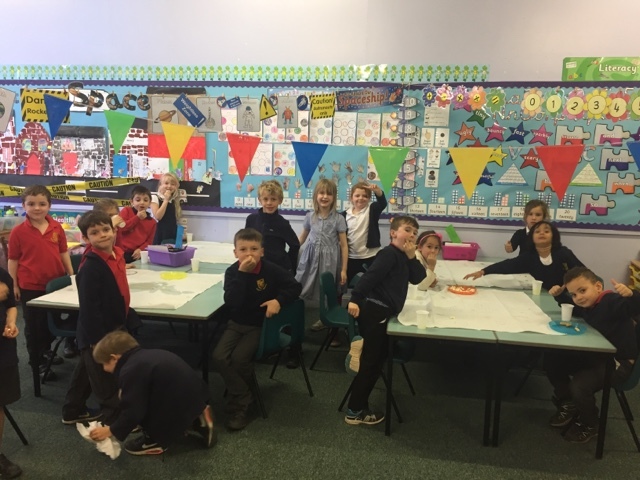 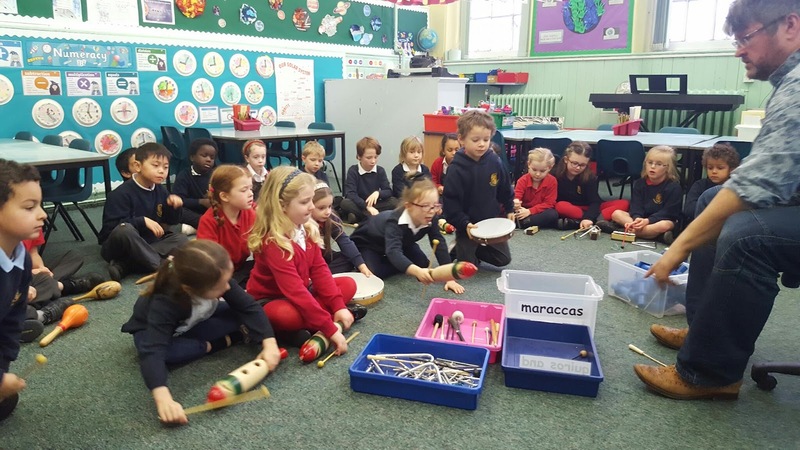 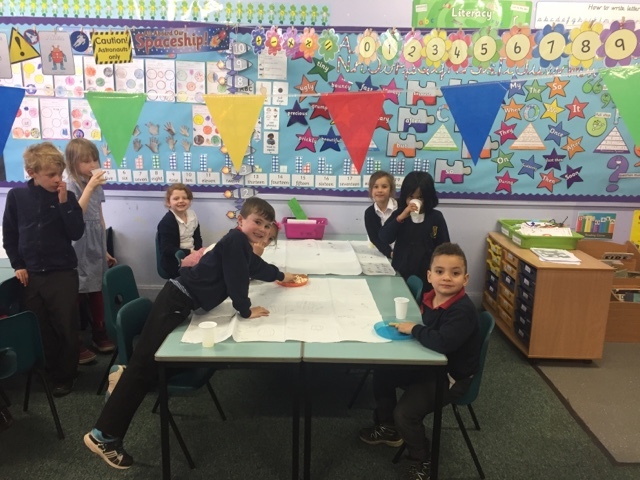 P2C celebrate with a Street Party.